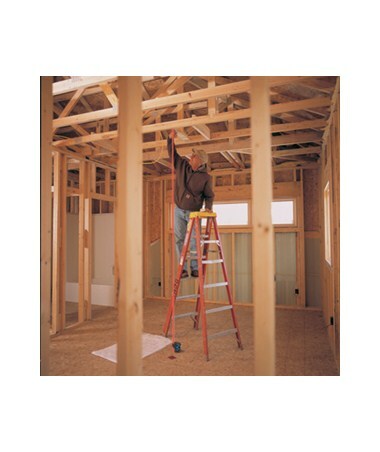 The Bosch GPL2 2-Beam Laser Level is an interior construction tool for plumbing and alignment tasks. Featuring 2 up and down laser beams with a working range up to 30 feet, transferring points is quick and accurate within ±1/8" at 50' for plumbing up and ±1/4" accuracy at 10' for the plumb down point. To eliminate errors, the GPL2 point laser automatically self-levels within ±5°. If the instrument is further out of level, the plumb laser senses it, and the beams flash to indicate the misalignment. The Bosch GPL2 is equipped with integrated magnets. By mounting the point laser to metal surfaces, transferring and aligning points is quick and accurate. 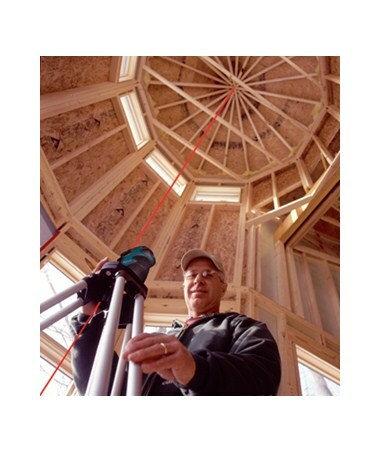 To help with precise positioning of the instrument and transfer of points, the GPL2 plumb laser level has reference lines etched into its outer construction. The outer construction of the GPL2 dot laser level is strong, featuring an over-molding for extra protection against dust and water. 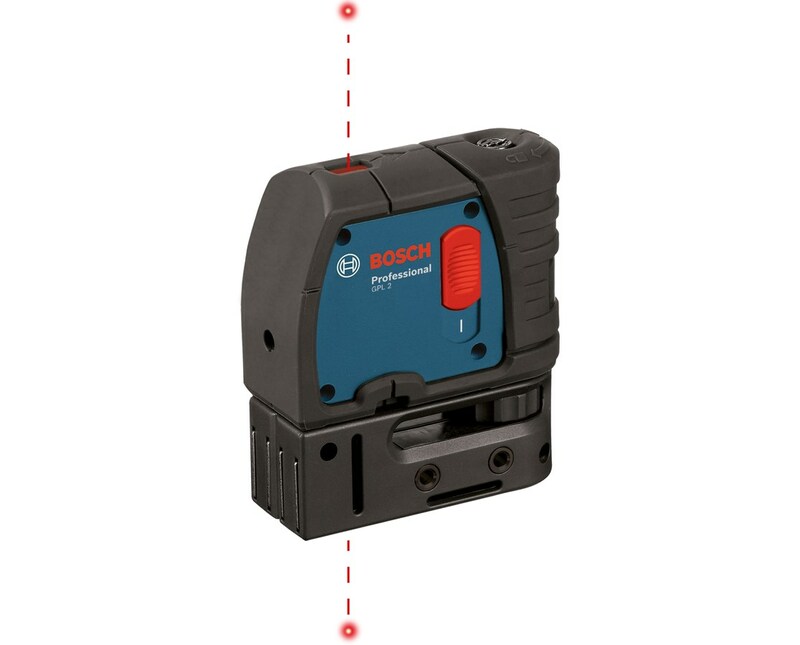 On the bottom of the Bosch GPL2 2-point laser is an easy-access compartment which holds 3 AA batteries. When the batteries are low, the laser blinks 8 times between 8-second intervals. 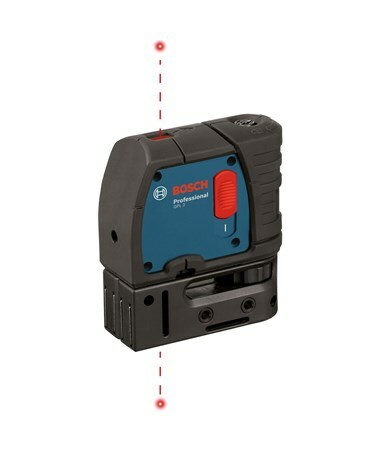 Professionals looking for a user-friendly dot laser for accurate plumbing and alignment work will be pleased with the Bosch GPL2’s reliability and functionality. The GPL2 is backed by a 2-year limited manufacturer’s warranty.